History, Characteristics of Minimal Art and Architecture. Emerging in a coherent form in New York, during the 1960s, Minimal art, popularly known as Minimalism - but also sometimes referred to as ABC art, Cool art, Literalist art, Object art, and Primary Structure art - was a major movement of postmodernist art, specifically a style of abstract painting or sculpture characterized by extreme simplicity of form: in effect a type of visual art reduced to the essentials of geometric abstraction. Widely exhibited in the best galleries of contemporary art in America, it became an important style in New York and was marketed by several dealers including Leo Castelli. The term minimalism is usually applied to works by postmodernist artists such as Carl Andre (b.1935), Dan Flavin (1933-1996), Donald Judd (1928-1994), Ellsworth Kelly (b.1923), Sol LeWitt (b.1928), Robert Morris (b.1931), Kenneth Noland (b.1924), Richard Serra (b.1939), Tony Smith (1912-80), and Anne Truitt (b.1933); and to paintings by Robert Mangold (b.1937), Brice Marden (b.1938), Agnes Martin (b.1912), and Robert Ryman (b.1930), among others. Very often an austere, cerebral type of art, Minimalism is sometimes associated with Conceptualism - via the avant-garde composer John Cage (1912-92) - and occasionally with Land art. Minimalist paintings and sculptures are generally composed of precise, hard-edged, geometric forms, with rigid planes of colour pigment - typically utilizing cool hues or maybe just one colour. They tend to consist of non-hierarchical, geometrically regular compositions, often arranged in a grid format and made from industrial materials. Whatever the precise details, the idea of this kind of non-objective art is to purge the work of any external references or gestures, such as the emotionalism of Abstract Expressionism. According to Robert Morris, one of the most influential theorists of Minimalism, in his seminal series of essays "Notes on Sculpture 1-3" (Artforum in 1966), the minimalist painter or sculptor is chiefly interested how the spectator perceives the relationship between the different parts of the work and of the parts to the whole thing. The repetition often seen in Minimalist sculpture is designed to highlight the subtle differences in this relationship. An alternative approach was outlined by Donald Judd in his paper "Specific Objects" (Arts Yearbook 8, 1965), who saw minimal art as a means of eliminating inherited artistic values from Europe, thus creating a new type of American art. The movement was heavily criticised by a number of important art critics and historians. For instance, Michael Fried's critical article "In Art and Objecthood" (Artforum in June 1967), strongly criticised its "theatricality". For details of the best postmodern exponents of minimalism, please see: Top Contemporary Artists. Influenced by traditional Japanese designs, the Bauhaus art school and De Stijl, Minimalist architecture, exemplified by the signature style of architect Mies van der Rohe, which he describes as "Less is more", refers to building designs that are reduced to the absolute bare minimum of elements. Minimalist architectural design typically uses basic geometric shapes, harmonious colours, natural textures, open-plan spatial arrangements, neat and straight components, clean finishes, flat or nearly flat roofs, large windows and satisfying negative spaces. Noted minimalist designers include American architects like Ludwig Mies van der Rohe (1886-1969), Philip Johnson (1906-2005), Raymond Hood (1881-1934) and Louis Skidmore (1897-1962), to name but a few. For more details, see: American Architecture. In the 1980s, a new generation of Zen Buddhism-influenced Japanese architects appeared, including: Kazuo Shinohara (b.1925), Fumihiko Maki (b.1928), Arata Isozaki (b.1931) and Tadeo Ando (b.1941). Other minimalist architectural designers include: Alberto Campo Baeza, Michael Gabellini, Richard Gluckman, Hugh Newell Jacobsen, Eduardo Souto de Moura, John Pawson, Claudio Silvestrin, Vincent Van Duysen, Alvaro Siza Vieira, and Peter Zumthor. For the effect of minimalism on supertall buildings, the dominant form of urban art in America, see: Skyscraper Architecture (1850-present). Key collections of this kind of concrete art can be found at the following places, and in many of the best art museums devoted to late 20th century works. - Chinati Foundation (Marfa, Texas). - Modern Art Museum of Fort Worth (Texas). Neo-minimalism is a rather vaguely defined art style/movement of the late 20th, early 21st centuries, in painting, sculpture, architecture, design, and music. It is sometimes referred to as "neo-geo", "Neo-Conceptualism", "Neo-Futurism", "New Abstraction", "Poptometry", "Post-Abstractionism", "Simulationism", and "Smart Art". Contemporary artists who are supposedly associated with the term, include David Burdeny, Catharine Burgess, Marjan Eggermont, Paul Kuhn, Eve Leader, Tanya Rusnak, Laurel Smith, Christopher Willard, and Time Zuck. Post-Minimalism describes attempts to go beyond the idiom of minimalism,in architecture or the visual arts. In simple terms, 1960s minimalism is a rather intellectual style of art characterized by extreme simplicity of form and a deliberate lack of expressive content. Minimalist artists were only interested in presenting a pure "idea". 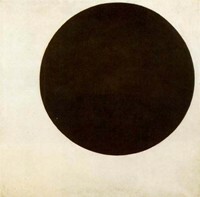 In Post-Minimalism (1971 onwards), the focus shifts from the purity of the idea, to HOW it is conveyed. Postminimalism is associated with the following contemporary artists: Tom Friedman, Felix Gonzalez-Torres, Eva Hesse, Matthew Kandegas, Anish Kapoor, Wolfgang Laib, Joseph Nechvatal, Damian Ortega, Martin Puryear, Charles Ray, Joel Shapiro, Keith Sonnier, Cecil Touchon, Richard Tuttle, Richard Wentworth, Rachel Whiteread and Hannah Wilke, among others.  For more about painting, see: Homepage.